Gone are the days when we depended solely on a broker, family friend, newspapers or the street-end tea shop owner to identify and shortlist real estate properties to buy. The internet has simplified our lives in a myriad ways and this applies to the home search process as well. When it comes to using the online medium for real estate property search, aggregator sites like are not the only source. The advancements in the digital world has led to a number of applications, portals and forums that make the house hunting process easy and less time-consuming. 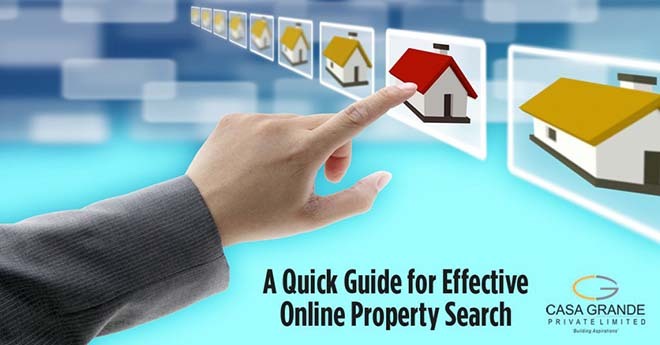 The property search process has changed significantly with the advent and the rising popularity of the Internet. The digital world has opened its doors for real estate buyers in order to simplify and facilitate the home buying process. To cash in on the growing internet population in India, real estate companies are making themselves visible and easily available on digital platforms. This customer-centric approach has led to a number of ways in which a buyer can look for his desired property online and has made it more convenient for buyers to discover new and various property listings available in the market. Googling or looking for information using search engines is the first thing an internet user might do, while looking for properties online. Using the right keywords will help in getting the most relevant and useful results from all over the web. Some users might ignore the ads that appear on the top and right of the search results but more often than not, these results are more relevant than the organic search results that appear and can help the buyer quickly find the property that matches his/her requirements. There are the various online real estate portals that gather and list down information about real estate properties from various developers available in the market. A quick search tip to quickly arrive at suitable results on these platforms would be to use their ‘Advanced Search’ option. This would ask for additional information about your requirements like location, budget, area specification, amenities, etc and help you find the home that you’re looking for. If you are looking for homes from a particular set of builders, then their websites would be the best place to search. Most websites of good developers would have their current and upcoming projects clearly listed with all the specifications, amenities, advantages, walkthroughs and other details. They would also have an enquiry form from where you can drop a quick enquiry for projects you are interested in. Apart from being the most credible source of information for projects, the builders’ websites also serve as a source of information on their history, past projects and delivery history. The online medium has proven to be a great platform for knowledge sharing and solving queries. Real estate forums and online communities help in the decision-making process as members can recommend, share their personal experience, pose questions and discuss a wide range of industry-related topics and issues. Forums offer home buyers a great opportunity to check on the builders’ reputation, delivery history as well as the quality of their past projects. Once you have short-listed the properties you would like to visit, you can use Google Maps to look for nearby landmarks, facilities in the neighborhood, connectivity, etc. and compare this with the builder’s claims. Good real estate companies are active on social media and use it to connect with their customers through various engagement initiatives. Consumers can gauge a real estate company’s credibility and professionalism through their response management and complaint redressal policy they follow on their social media platforms. In addition to the above, if you are an active internet user looking for real estate properties online, there are high chances that you would spot real estate ads in your news feed or on websites you visit across the web. These advertisements are based on your search history and thus bring to you the most relevant property listings without much effort from your side. Technology is rapidly changing the way homes are being sold with the focus being on making the entire process easy for the home buyer. Internet has turned out to be not just a marketing medium but also a marketplace where one can buy & sell real estate properties. Online home buying is an interesting concept promoted by initiatives such as Google’s Great Online Shopping Festival – where leading real estate companies like Casagrand participated(through the property portal – RealtyCompass) & provided home buyers an opportunity to book villas in Oragadam with an amount as low as Rs. 5000. It is also becoming one of the most convenient and hassle-free avenues for NRIs to purchase their dream home in their motherland.